The Taoiseach has defended his appointment of Darragh O'Brien to the Seanad for the short remainder of the term. The appointment is to fill the vacancy recently created by the election of Ciarán Cannon to the Dáil. Darragh O'Brien, 36, was a TD for the Dublin North Constituency who failed to get elected in the General Election. Speaking in Tullamore, Mr Cowen said it was at the discretion of the Taoiseach if a vacancy arises to appoint a replacement for one of the eleven nominees of the Taoiseach in the Seanad. The Taoiseach said he wanted to acknowledge that Darragh O'Brien is going to be part of a big future for Fianna Fáil. He said he was very impressed by him and he wanted to give him that acknowledgement over the next few weeks as he prepared for the Seanad elections. Mr Cowen reiterated the fact that it was the practice of successive Taoisigh over the years when a vacancy arises to fill it. 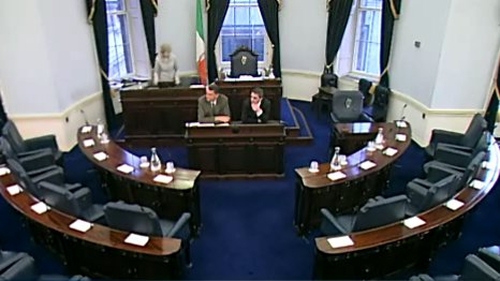 Meanwhile, a meeting of the Fianna Fáil Ard Comhairle ended just after 9pm after three hours of discussion. According to sources at the meeting, Micheál Martin gave assurances that he would not interfere with the various nominating bodies who select candidates for the Seanad elections. 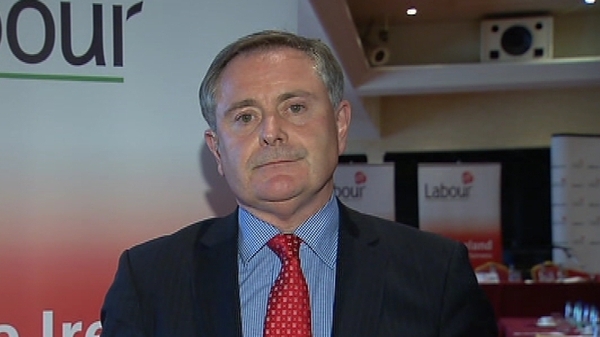 The Fianna Fáil leader did ask for support in bringing in a 'strategic plan' for the Seanad. It is also understood that Micheál Martin was given the authority to pick replacements for the vacant Fianna Fáil County Council seats, which need to be filled as a result of the General Election. Fianna Fáil's problems in Dublin were also highlighted at the meeting, which was described as 'vibrant' and 'not acromonious'. Elsewhere, a total of 47 candidates have put their names forward to contest the six Seanad seats that will be filled in the university constituency. Out of the 60 seats, six are to be filled from the university constituency of NUI and Trinity College Dublin. 47 candidates formally put their names forward today. High-profile names include Senators Fiona O'Malley, Ivana Bacik, David Norris, Feargal Quinn, John Crown, Rónán Mullen and economist Marc Coleman. Elsewhere, Fianna Fáil leader Micheál Martin's idea of getting younger candidates to go forward to contest the Seanad election is due to be discussed an Ard Chomhairle meeting tonight. The notion has already caused some tension among sitting senators. The Seanad is due to sit next Tuesday at 2.30pm. Senators will debate a bill that aims to give greater protection to sub-contractors to get paid for work they carry out. Leader of the House Donie Cassidy said there could be more sittings for the House before its April election if the new Government requires it.